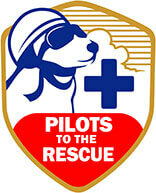 Welcome to the Pilots to the Rescue volunteers and the organizations they serve. I am the owner, creator of Doobert.com and am very excited to be able to support and simplify your efforts to save animals. If you have any questions, problems or would like a personal demo of how doobert works please do not hesitate to reach out. Simply click the Help/Support icon or send me an e-mail to [email protected] and we would be glad to help you. Thank you for what you do for the animals and welcome to Doobert! We'd love to have you! Are you looking to sign-up yourself or your organization?